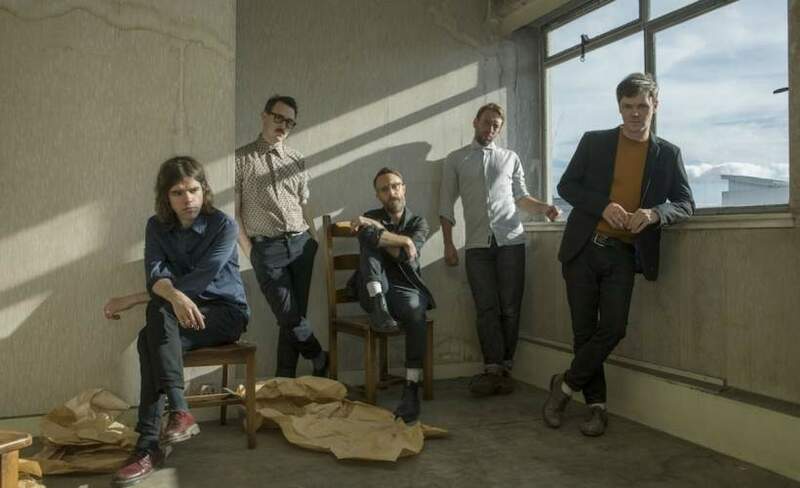 Marrying fiery art rock guitar riffs with tender songs expression the gentle joy of simply being, Idlewild are able to conjure elegance, anger and exhibit flawless technical skill. Their line up currently contains Colin Newton (drums), Roddy Woomble (lead vocals), Rod Jones (guitar, backing vocals), Luciano Rossi (keyboards) and Andrew Mitchell (bass). This year Woomble’s indie rockers are back with a brand-new album; Interview Music. Their first LP for four years, they promote the upcoming record with massive gigs at Engine Rooms at Southampton and Norwich Waterfront during April plus Cambridge Junction on Wednesday 1st of May 2019. Everyone is after Idlewild tickets, so with the demand so high you will need to make sure you book yours quickly as they will go. Gigantic makes selecting and booking your chosen gig tickets easy by enabling you access to our site 24/7 using your computer, smartphone or tablet from the comfort of your home or whilst you are busy and on the go. But, leading busy lives it is easy to forget that these Idlewild gig tickets will become available at 10:00 on Friday 15th of February. So, set a personal reminder with Gigantic so we can alert you with an email or text message just before they are released. Formed in the mid-90’s after singer Roddy Woomble met drummer Colin Newton at a party. Finding that they had the same taste in music, they soon formed the band after also meeting the guitarist Rod Jones. Throwing themselves into a series of ferocious gigs which earned them a reputation for being vital viewing as typified by their very first single Queen Of The Troubled Teens. However, they truly made their statement of arrival with the release of the mini-album Captain. Showing true prolific power, they released debut album Hope Is Important within a year which is regarded as a cult classic and solidified their status as the critic’s favourite. In 1999, they released their post punk melded with grunge masterpiece 100 Broken Windows. The turn of the millennium saw a change in sound and a massive rise in success for the band. Adopting more orchestral influences for third LP The Remote Part, they went straight in at No. 3 in the charts and were certified Gold after hitting sales of 100,000 copies. With their fanbase now absolutely solidified, they have been free to explore varied avenues of style and genre across subsequent titles Warnings/Promises, Make Another World, Post Electric Blues and Everything Ever Written. With only limited amounts of Idlewild concert tickets being made available, time is of the essence and you will need to make sure you make your booking before they are all taken.